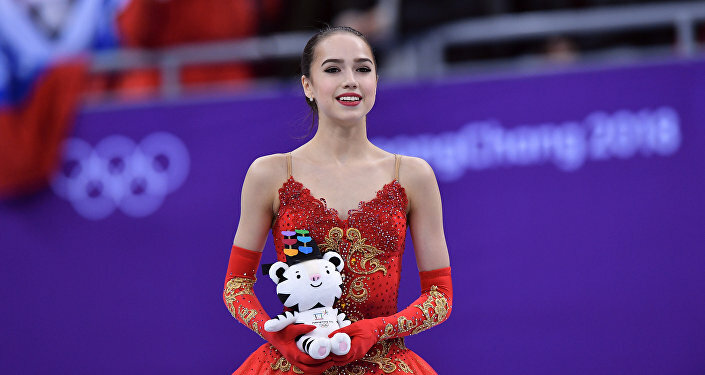 The American figure skater just can’t let it go, as she once again took to Twitter to express her opinion regarding the Russian Olympic champion Alina Zagitova’s performance. “I am getting all of these responses to my comment about Zagitova, so I'll reiterate what I said one last time. I don't think backloading leads to a very artistic or balanced program, I just don't. I also can't do a program with all of my jumps at the end and find it impressive,” Wagner wrote. Following a successful performance, her American counterpart Ashley Wagner launched a verbal attack on Zagitova. However, in an interview with Ruptly, Zagitova retaliated against Wagner, saying "I can say that her words only spurred me on. I wanted to prove that she was not right, but such people will certainly be unable to tolerate any proof. Let her try to perform at the Olympic Games with the program that I had performed. I will be pleased to watch her performance and I will not make any comments after this," Zagitova said. The 15-year-old Zagitova set a new world record at the 2018 Pyeongchang Winter Olympics last Thursday. The previous world record was clinched by another Russian figure skater, Evgenia Medvedeva. Olympic Athlete from Russia Alina Zagitova after performing her free skating program during the women's figure skating competition at the XXIII Olympic Winter Games. Olympic Athlete from Russia Alina Zagitova, winner of the gold medal in the women's figure skating at the XXIII Winter Olympic Games, during the award ceremony.